The major Hill resorts of Kerela are Munnar, Ponmudi, Peerumade, Neliyampathy, Peruvannamuzhi, Tusharagiri, Wayanad, Pythal Mala, Ezhimala, Ranipuram, Devikulam, Wagamon etc. Ana Mudi is the highest peak in the Western Ghats in India. It is located at the Cardamom Hills in Kerala, in the southern region of Eravikulam National Park. At a height of 2,695 metres (8,842 ft), it is the highest elevation in South India. Anamudi peak is situated in Idukki District of Kerala State. The peak belongs to Munnar Panchayat. is a small town that lies to the south west of Munnar in the Idukki district. Devikulam is situated about 16 kms from Munnar. The beautiful hill resort is known for its natural beauty. Devikulam is gifted with beautiful lawns, rich flora and fauna, some adventurous mountain treks and a popular mineral water lake. Affluent forests, tea plantations and a clean atmosphere, far from city hustle and bustle makes it an ideal health resort. 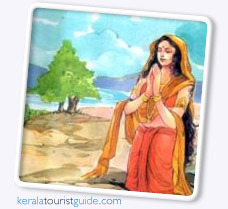 Devikulam has been named after a lake; the word Devikulam means a lake or a pond of the Devi, the Devi referred being Goddess Sita. Legend has it that Goddess Sita once bathed in the waters of this lake. The lake water is believed to have great healing power. It also supports trout fishes which makes angling a great amusement here. The weather remains pleasant through out the year.